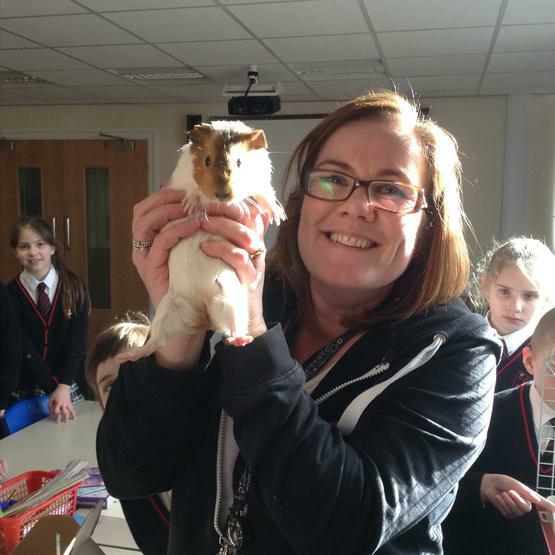 Three little guinea pigs arrive at school! 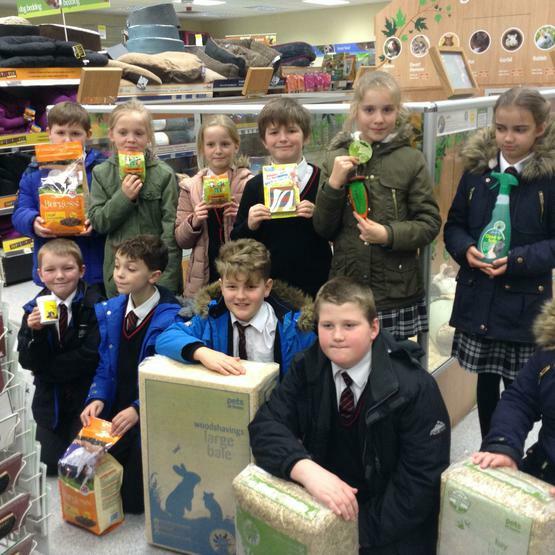 Children from Year 5 have been planning to develop a pets’ corner at school since September 2015. 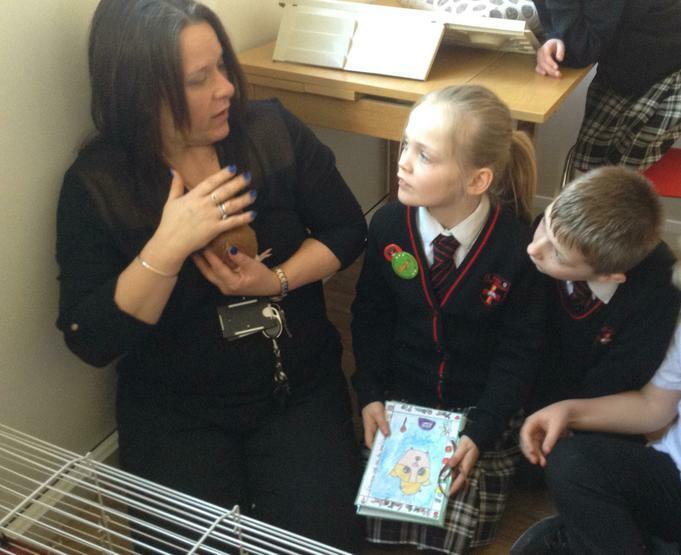 Guinea Pig Week sprung from Year 5's quest to persuade the Head teacher, Mrs Murphy, to get pets for their school! The children have been working on this topic, learning everything they needed to know about keeping guinea pigs, and much of the English work they have done has been based on this project. 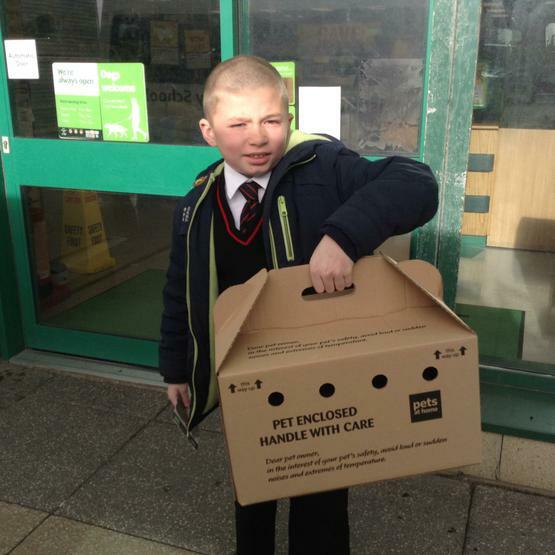 The children visited Pets at Home and purchased all the materials they would need to look after their new pets. 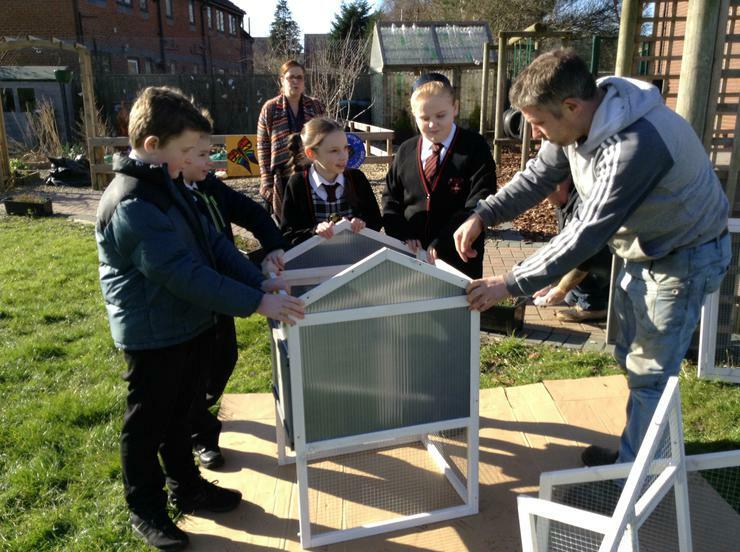 They researched designs for a hutch and helped a local builder, Bob Parry, to put the chosen hutch together. 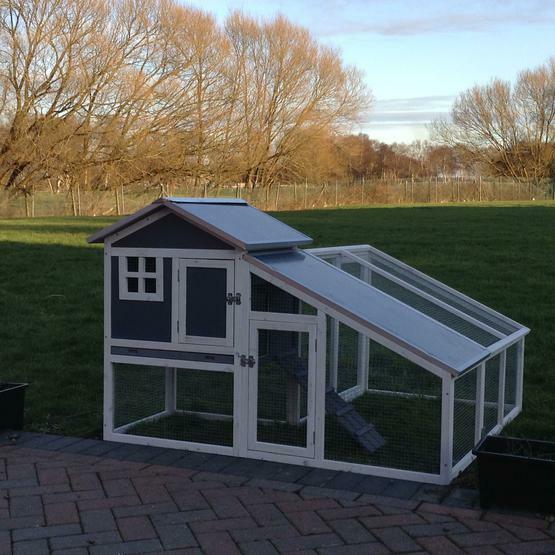 Finally, three little guinea pigs were purchased and arrived at their new home, much to the excitement of the children and staff! 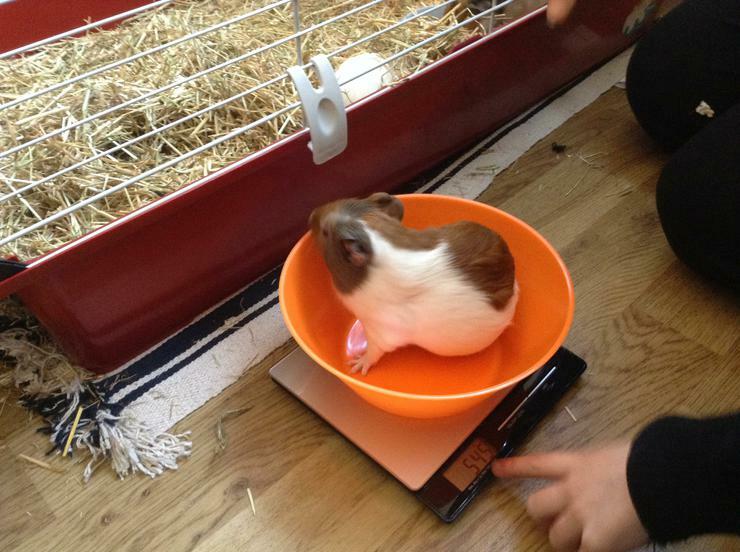 Children took turns at getting to know the guinea pigs and Year 5 are now busy developing a feeding and cleaning rota between them. They also had a competition to choose the names of the guinea pigs as part of a writing week activity. The chosen names are Bella, Lexie and Ruby. Welcome to our school!